The common assumption is that the warmer months are the best times to sell a Washington, DC area home. It’s true that many buyers do plan their new home purchases in the spring and summer seasons but that doesn’t mean all serious buyers vanish during holidays or the winter months. Thanks to reduced competition, motivated buyers and the cheery warmth of holiday homes, the housing market is still quite active in winter and during holidays when work slows down. Since most sellers take their homes off the market throughout the holidays and new sellers are waiting to list their homes when it warms up, less inventory means more buyers focus on and are steered toward your home! Keep their attention by making sure your home is priced to sell and be prepared to close quickly. College students who want to settle in before the next semester. Military personnel transferred who will report here in the new year. Homes show drastically better when they are decorated. Tasteful decorations, a roaring fireplace, holiday treats and warm beverages will help house hunters envision their own families celebrating the holidays in your home. When you encourage buyers to spend more time in your home, you also give them more time to feel at home. 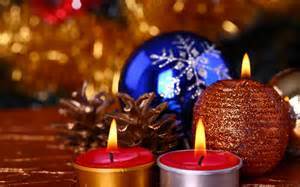 I have sold homes between Christmas and New Year’s Day 3 of the last 6 holiday seasons. So, if you’re hesitant about listing your home in December, January, or February, or you’re waiting until spring to start your home search, you could be missing out on some great opportunities! 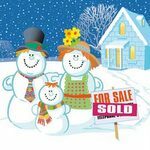 Contact Hill (301-452-1409) for more information on selling and buying this holiday season.